Denver PD arrested Edward J. Sack for vehicular homicide. More than half of Denver pedestrian deaths this year have happened on Federal. The last time Aaron Samora spoke with his fiancee Tina Padilla, she was hopping off the 38 bus and transferring to the 31 to meet him. But Padilla never made it. 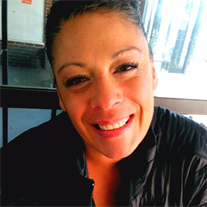 A driver struck and killed the 40-year-old mother of three as she was walking on Federal Boulevard near Ellsworth Avenue on the night of August 27. The driver, according to Denver PD, was Edward J. Sack. The department has not released its incident report, so few details about the crash are available. Sack faces a charge of vehicular homicide, which entails causing “the death of another person while driving recklessly or under the influence of drugs or alcohol,” Denver PD spokesperson Doug Schepman said in an email. So far this year, drivers have killed six people walking on Federal Boulevard, making it the site of 55 percent of all pedestrian deaths in the city. Padilla was the second victim in a three-day span. Samora said he saw a driver fatally strike someone earlier this year at the deadly intersection of Federal, 14th Avenue, and Howard Place. Drivers clearly have to be more careful. But when more than half of our city’s pedestrian deaths occur on a single street, it’s just as clear that responsibility also lies with the public agencies and elected officials who allow such dangerous street designs to persist. The Colorado Department of Transportation has jurisdiction over Federal Boulevard, which is technically a state highway, and Mayor Michael Hancock’s streets department, Denver Public Works, has a role to play as well. These decision makers need to act now to stop the loss of life on Federal Boulevard. Yes, long-term change is necessary, but we can’t wait for a multi-decade, unfunded plan to transform the corridor while kids continue to lose parents and parents continue to lose kids to preventable traffic collisions. In the meantime, there’s no reason our transportation agencies can’t implement short-term safety improvements. 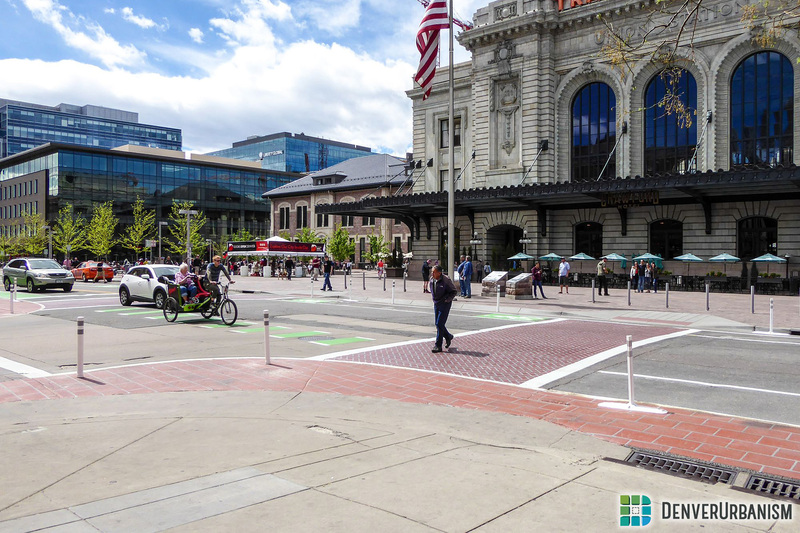 When the city wanted to make Wynkoop Street safer to coincide with the opening of the A-line, they grabbed some inexpensive materials and quickly got to work. The context on Federal Boulevard is different, but the threat to public safety is even more urgent. Whatever CDOT and DPW can do with a quick-build toolkit to calm traffic and make pedestrian crossings safer on Denver’s second-busiest transit corridor, they should get on it immediately. The alternative is to twiddle our fingers and watch as more people like Padilla, Raymond Sanchez, Lee Robinson, Danny Bramer, Gilberto Granillo-Chavez, and Michael Hoglund die. There’s no substitute for Real Money: $15.5 Billion (over ~20 years) divided between RTD ($6.5 billion), DRCOG (redefined) or CDOT ($6 Billion) reserved for metro Denver and local funding ($3 Billion). This may not be as grandiose as what Los Angeles, Seattle or even Phoenix has (already) done but it would work wonders for Denver. Federal Blvd could be the poster child for such a transportation plan. Combine the funding efforts of CDOT/DRCOG, RTD and Denver towards matching FHWA and FTA grants and it becomes a much easier lift to add BRT and/or Enhanced bus service along with Green Streets improvements. I fail to grasp why Denver is any less deserving or capable of putting into place transportation and transit revenue funding for the next 25 years like the other cities that have already done so. I think it has more to do with the drives on Federal than visibility. Speeding, running red lights and doing illegal U-turns in the middle of the street. There needs to be more police activity and ticketing in the area. It would be racist to increase traffic enforcement on Federal Boulevard. Honestly, Federal Blvd needs more than just lipstick but I’ve got nothing against that. The next key date will likely be Nov 6, 2018 when I assume the opportunity to provide more funding to CDOT will be on the ballot. Sadly, our good friends in Co Springs, Fort Collins, Craig, Aspen, Glenwood Springs, Grand Junction, Durango, La Junta etc. don’t give a wit about Federal Blvd in Denver.